Today, more then 350,000 wind turbines are in operation in the field world-wide. The demand for reliable spare parts to ensure continuous energy harvesting until the end of the turbine life is becoming increasingly important. 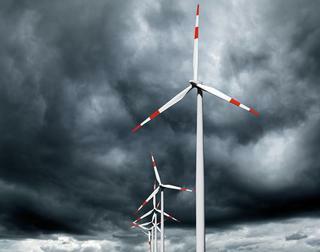 SEMIKRON has a broad portfolio of products to ensure reliable operation and maintenance for wind turbine converters. From individual power modules, IPMs and drivers to dedicated, customized retrofit stacks – SEMIKRON has the right solution! With more than 25 years of experience in the wind energy business, SEMIKRON equipped the first commercial wind turbines with highly reliable power electronic components. The first high-power IPM on the market, the SKiiP module, was an enabler for multi-megawatt wind turbines in the 1990s. With this long-term experience in the wind power sector, SEMIKRON now offers a broad portfolio of products to keep your wind turbine operating reliably. This portfolio starts with industry standard power modules such as the SEMITRANS and SEMiX family. 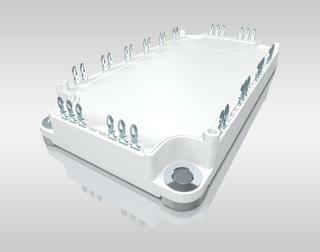 It includes SKiiP IPMs with customized coolers to fit into your wind turbine converter. 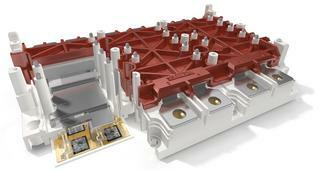 The range is rounded off with highly reliable stacks based on solder-free SKiM 93 modules featuring sintered chips. This technology allows for optmimized thermal conductivity from chip to heatsink and runs the chip at about 20°C lower than the OEM stack. SEMIKRON also offers newly designed driver boards based on the latest SEMIKRON ASIC technology with digital signal transmission and additional protection functions. With 25 companies operating worldwide we can offer our products and service close to our customers. With our broad portfolio of industry standard power modules, SEMIKRON has the solution for virtually every existing module replacement in your converter. These modules offer fit, form and function to the original modules with highly reliable SEMIKRON technologies. 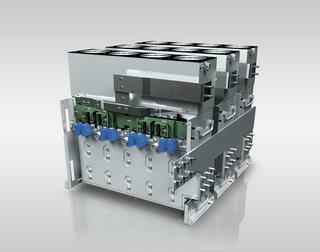 SEMIKRON Intelligent Power Modules (SKiiP) operate in 35% of the total wind turbines installed world-wide. The latest version, SKiiP 4, boasts maximum reliability with sintered chips, digital driver signal transmission and integrated protection functions. 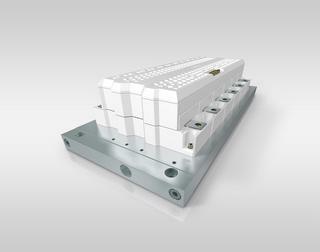 SKiiP modules are available with standard air and water coolers as well as with customized heatsink designs. With more than 40 years of experience in stack development, SEMIKRON boasts a broad portfolio of standard and customized stacks dedicated to wind turbines and converters. The stacks use the latest chips and die attach technologies as well as optimised drivers. These replacement stacks will increase turbine reliability and efficiency without any changes in fit, form and function. SEMIKRON offers a broad portfolio of drivers. Driver cores enable easy integration into your driver board or can be mounted onto the power modules using adapter boards. 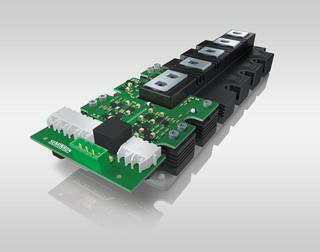 Plug & Play drivers that are mounted directly on top of the power modules are also available.